Ocean Freight | International Shipping | BDG International, Inc. Here at BDG International, Inc., we have been providing reliable freight forwarding, customs brokerage, and international trade consulting services for over 34 years. Our comprehensive services meet most every need when it comes to international logistics such as air and ocean freight. We especially excel at shipping to developed parts of the world and specialized transportation projects. This includes, but is not limited to letter of credit, dangerous goods, destination documents, Project Cargo, legalization, destination delivery, and customs clearance. The BDG team consists of experienced and highly trained individuals who meet annual training requirements that allow them to hone their skills in the latest transportation regulatory and logistics changes. This has helped us experience decades of consistent growth and expand our services. For more information on our ocean freight services or if you have any questions pertaining to our other services, give us a call today at (847) 760-0000. You can also reach us by filling out the easy to use contact form located on this page and one of our experienced associates will get back to you as soon as possible. BDG International is a licensed NVOCC. 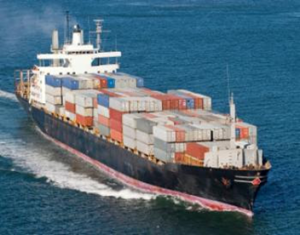 We have tariffs on file with the Federal Maritime Commission and offer our services to all major ocean ports on a weekly basis, smaller ports are serviced using feeder vessels and road or rail connections. Our qualified team is experienced in handling all types of freight and commodities including DG, Oversize, Perishable, Sensitive, Fragile, and High Value. With our extensive network of carriers, we can arrange to deliver your ocean freight anywhere in the United States and import your product at the most convenient North American ocean port. 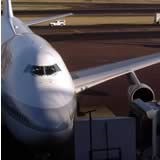 With over 175 freight agents worldwide, we can deliver your cargo to virtually any global location. To learn more about our ocean freight services, call us today at (847) 760-0000. Or simply fill out the contact form on this page and we will respond shortly.